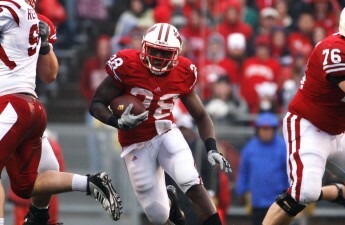 Former University of Wisconsin football player Montee Ball is finally looking to a new life beyond football. The three-year Badger running back turned NFL bust and two-time convict is now set to finish his degree at UW this upcoming summer, distancing himself from the game he once dominated. The road for Ball has been a long and bizarre one, even for NFL standards. 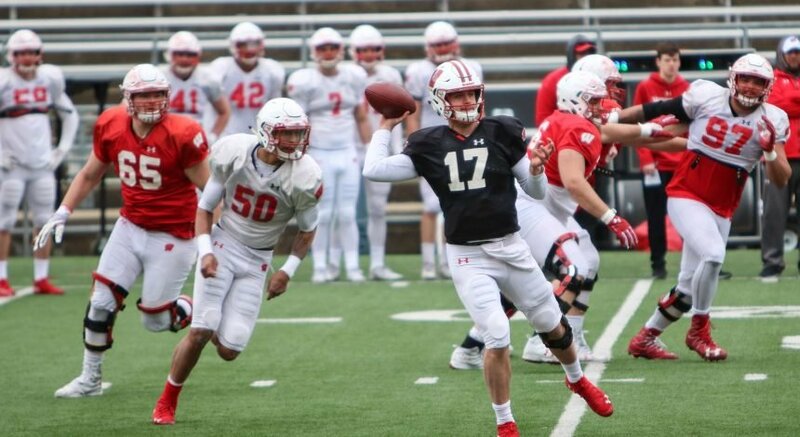 The Wentville, Missouri native originally began his journey with the Badgers in 2009, racking up almost 400 yards as a backup to John Clay and averaging 4 yards per carry. These numbers would only explode after his freshman season, posting 996 rushing yards, a whopping 6.1 yards per carry and 18 touchdowns. Despite his dominant underclassman years, his entire career — collegiate and professional — boiled down to his junior season. Ball ignited to post one of the most dominant rushing campaigns in college football history, throwing up 40 total touchdowns, over 1,900 yards and 6.3 yards per carry. The 33 rushing touchdowns put Ball as second on the NCAA all-time single-season rushing touchdowns list, only four rushing touchdowns behind Barry Sanders, arguably the greatest running back in college football history. The season would also send Ball well on his way to breaking the NCAA all-time career touchdown mark, which he broke his senior season, but also into a drinking pattern that would dismantle his life. The budding superstar was drafted 58th overall in the second round of the 2013 NFL Draft by the Denver Broncos, his first and final destination in the league. After problems arose from frequent injury and drinking, Ball was released from Denver in 2015 in need of a rebound that would never come. After two domestic violence claims destroyed Ball’s reputation as a free agent, he took to drinking and was found in violation of his bond at a bar in Whitewater, Wisconsin only a year ago. The turnaround for Ball came, as he said in a Sporting News interview, with the surprise of his son being born a week after his arrest in Whitewater. His son, and his damaged playing career, have pushed him to return to the place that built his reputation and gave him a chance at greatness. Madison represents an opportunity to finish the greatness he started but never finished — his education. Pursuing a sociology degree to prepare for a future Master’s degree at UW, Ball is beginning a new life to set a better example for his son. It’s a rare homecoming for a former Badger legend, but it’s one that speaks volumes to the character of a man looking to turn his life around.